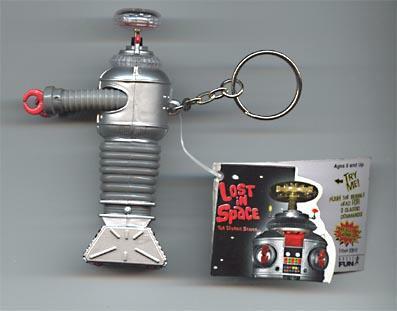 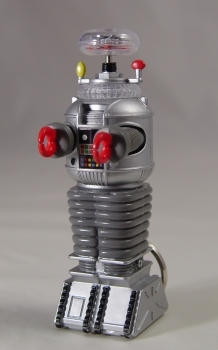 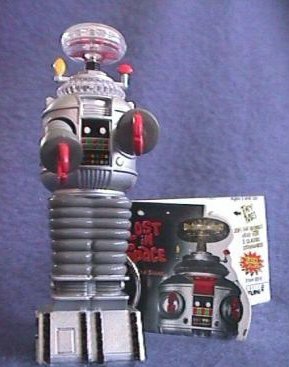 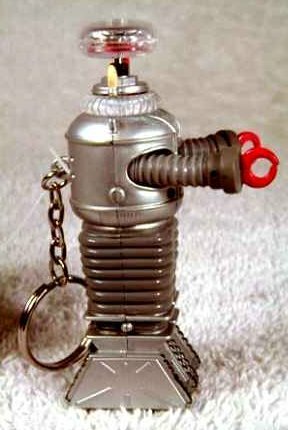 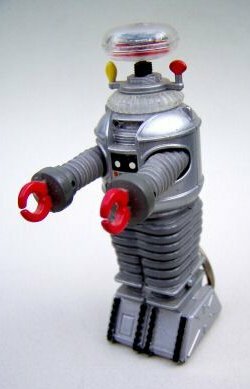 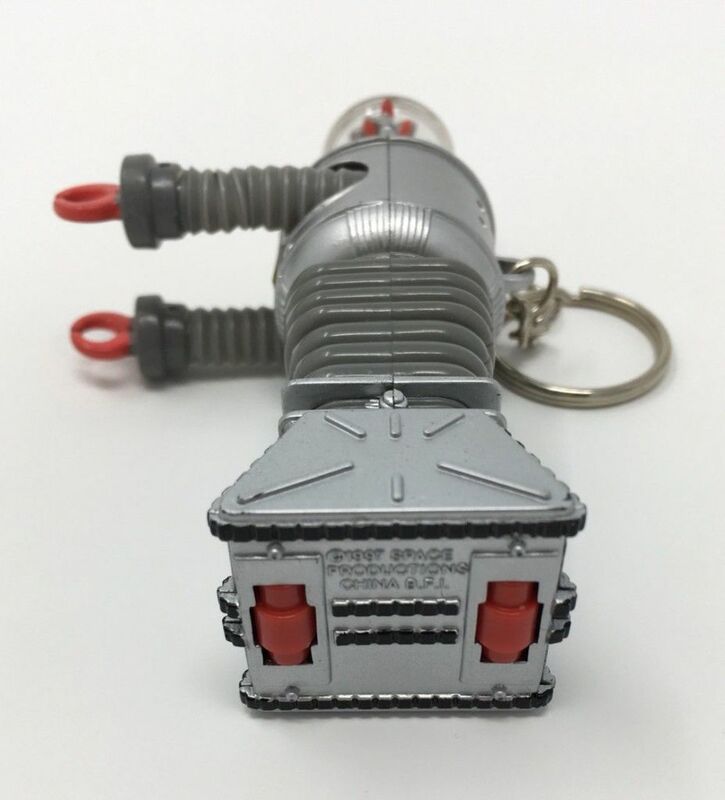 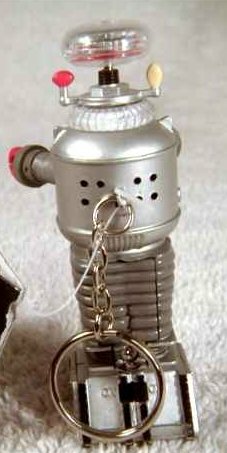 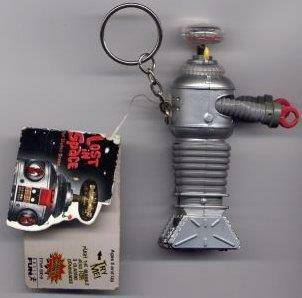 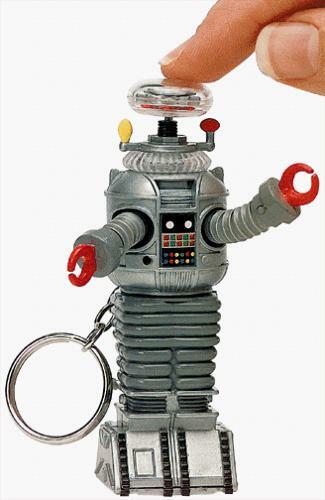 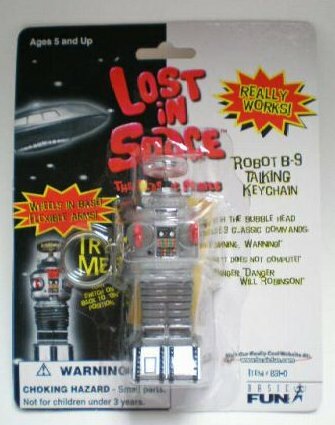 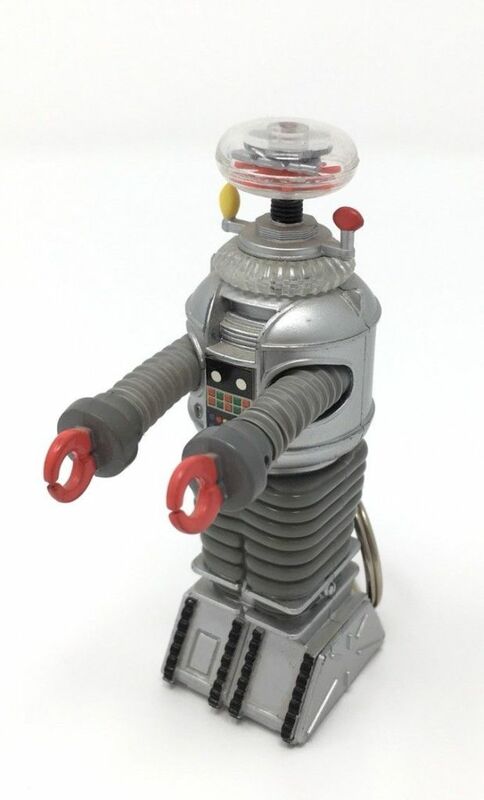 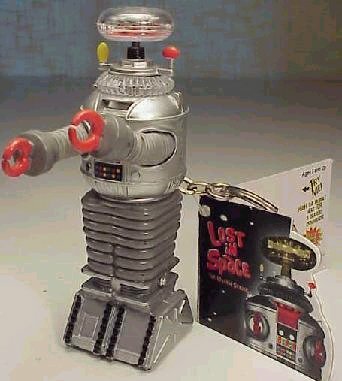 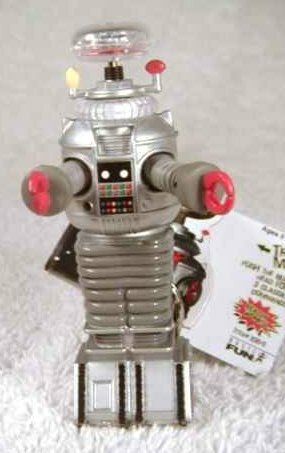 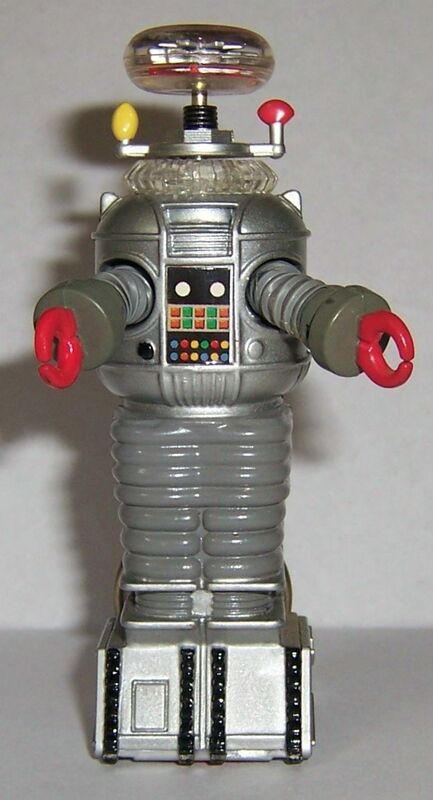 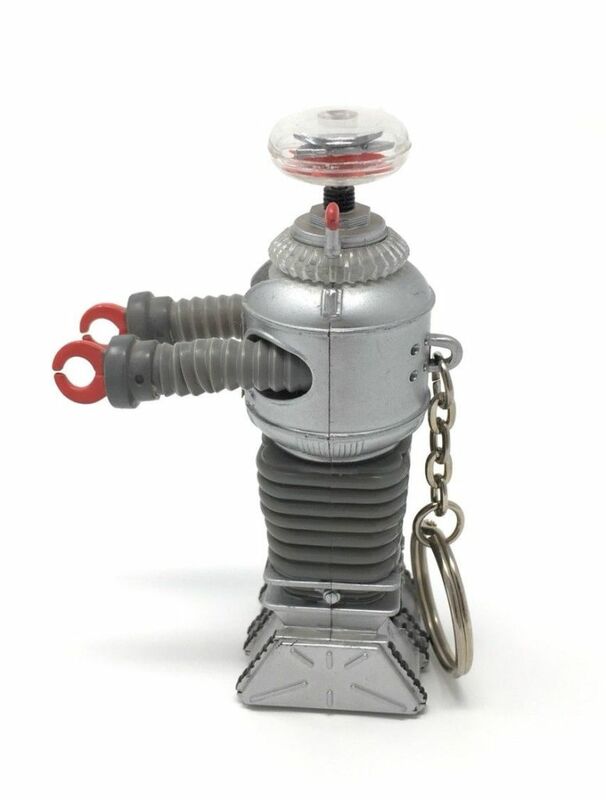 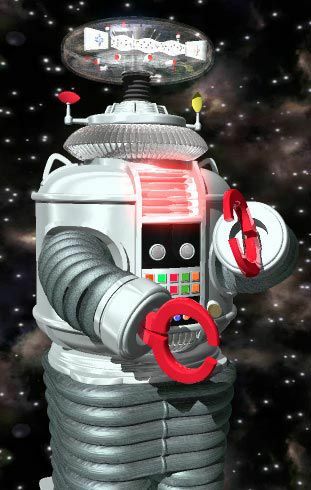 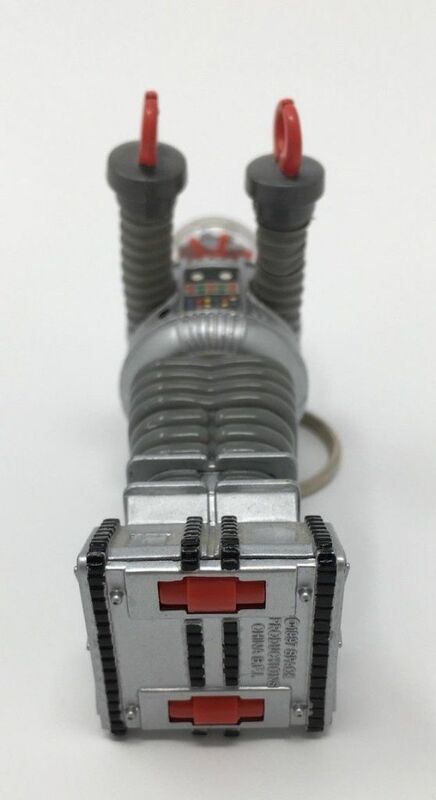 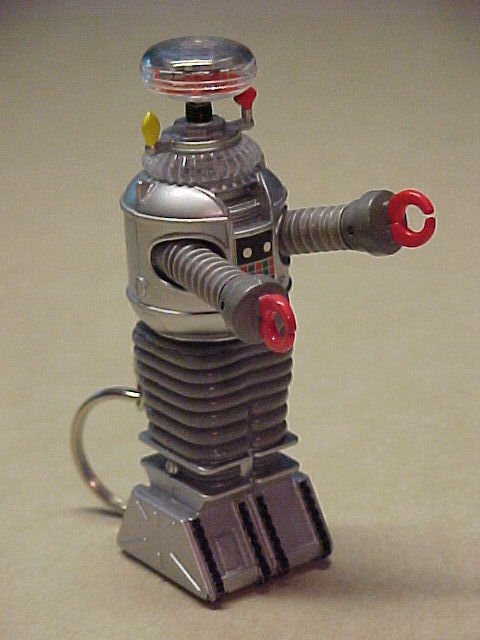 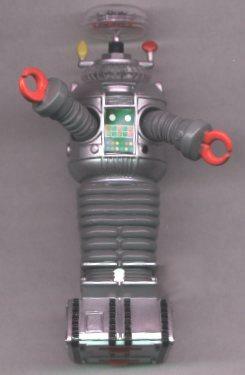 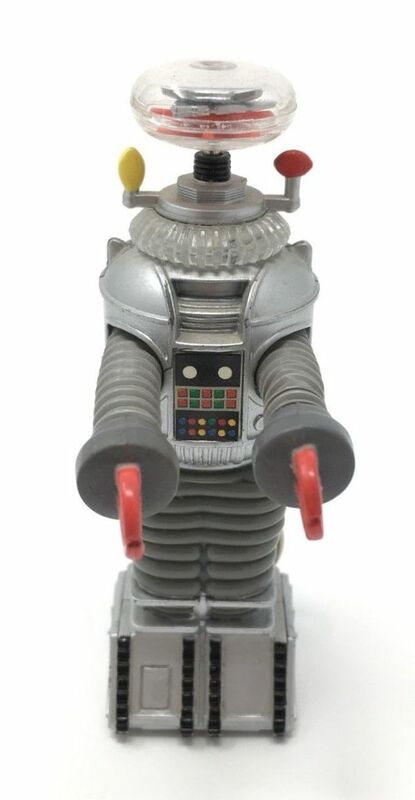 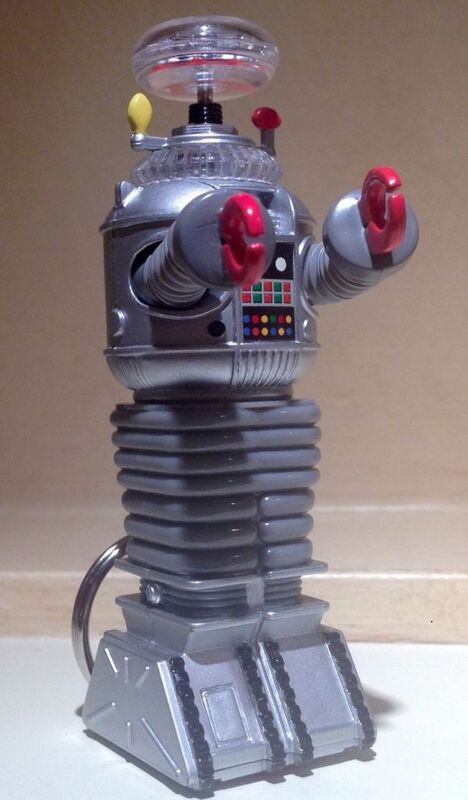 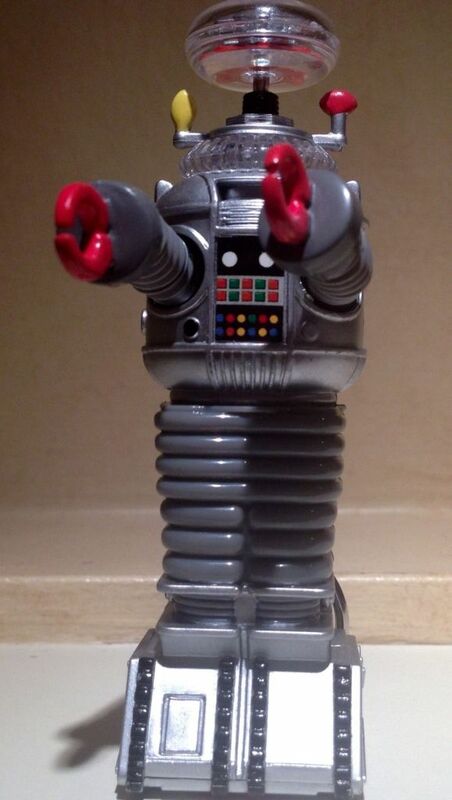 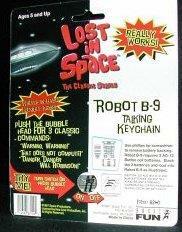 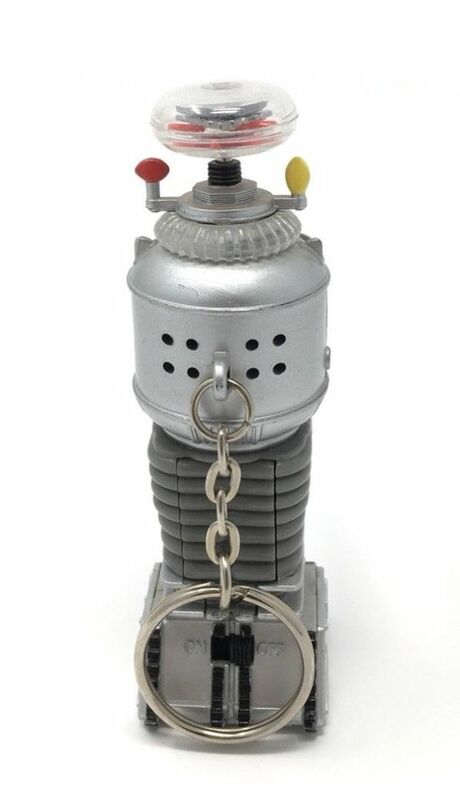 A talking B-9 Robot Keychain released in 1998. 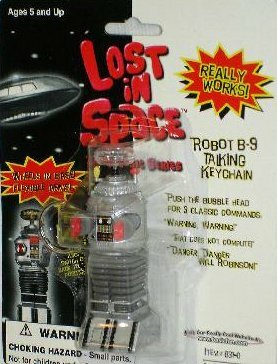 It is in excellent condition with the original tags. 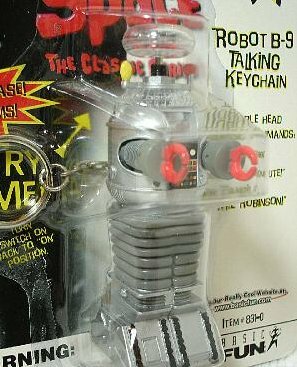 The keychain requires 3 AG-13 button cell batteries. 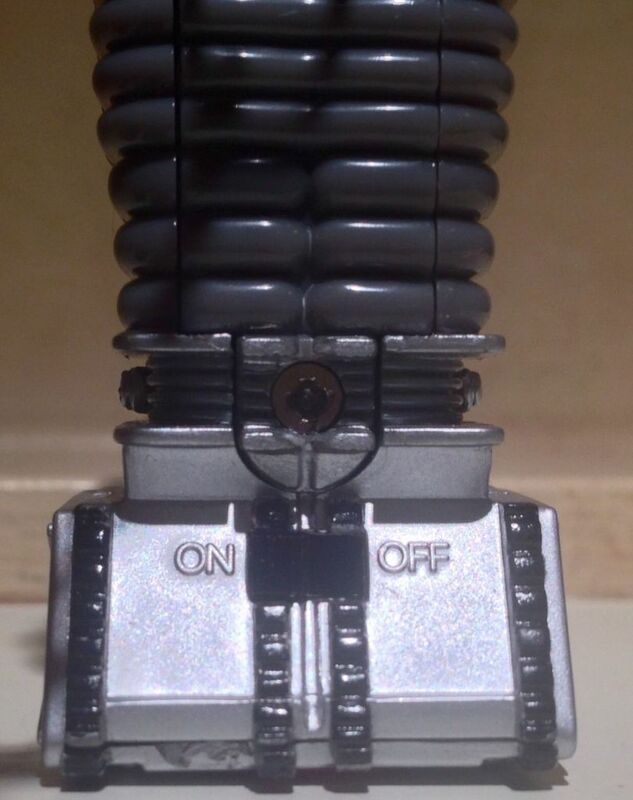 It has a turn on/off switch. 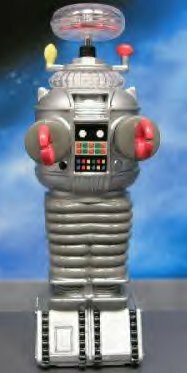 You push the Bubble Head to make it speak. 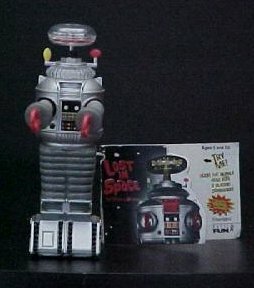 It says the following 3 familar statements: "Warning Warning;" "That Does Not Compute! 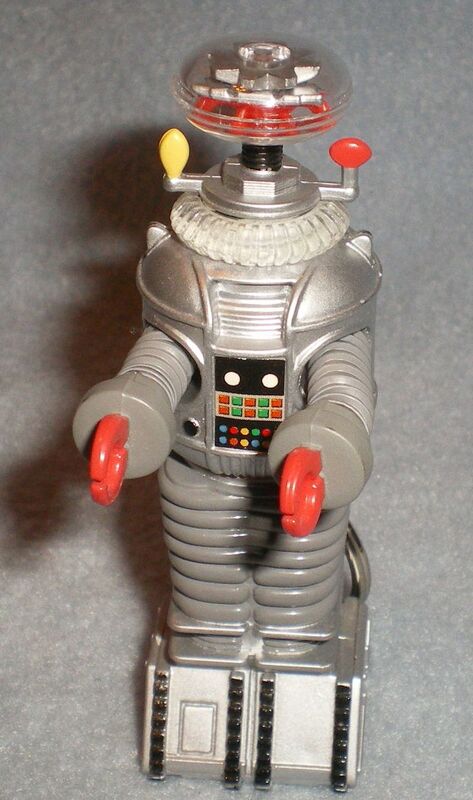 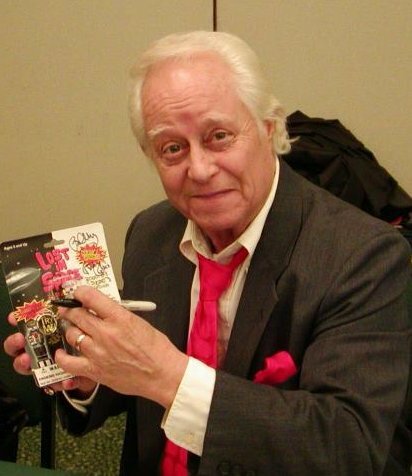 ;" and "Danger, Danger Will Robinson!" 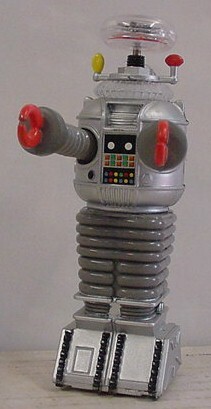 The Robot stands approx. 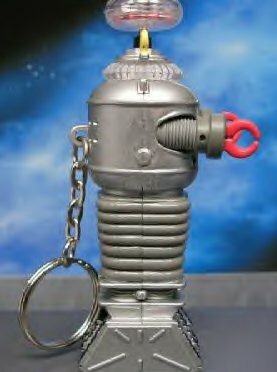 3" high. 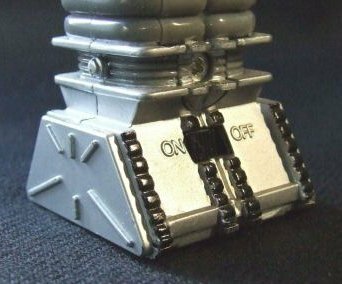 It's base is approx. 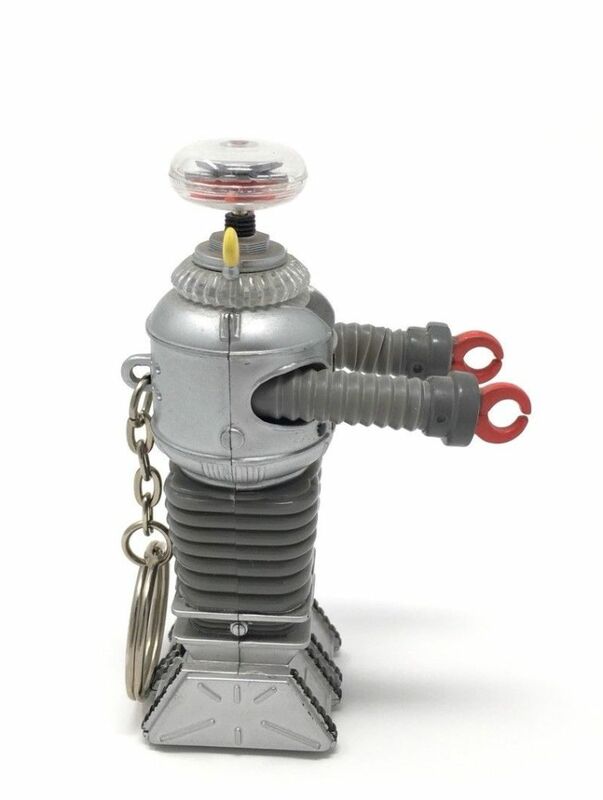 1 1/4" X 1".